Episode 41 Happy Tuesday! The #dash4cash is over and the winner has been announced! Ken has somewhat of a dash wrap up and explains a few of the clues that were given along the way! We had a great show with one of the real unsung hometown heroes of our community Nurse Practioner Grey Garrett of D.W. McMillan After Hours Clinic. In small towns all across our nation some local hospitals are struggling to find people like Grey and we rocognize her and her efforts as they are integral to our communities success. Rounding out the show was a call in from Cobra Kai Team Captain himself Tony Burnham and the man, the myth, the legend Hazel Wood! Another great show today and we will see you tomorrow! Episode #40 Happy Manic Monday! Kicking off the week with United Bank President Bob Jones. Bob talks about being a community bank and what that means for the areas that we live in. The hunt is still on and clue #11 is released. Had a great time with Bob as we talk about all sorts of topics. Have a great Monday and we will see you Tuesday! Episode 39 Happy Feel Good Friday! We start off with Our good friend John Pierce (The Coach) and he fill us in on all things coaching. Next up is Team Cobra Kai/Team T-Bone Captain Tony Burnham. We talk about The 109 from last night and the “technical difficulties” that kept it from being aired. Tony pledged his allegiance and who he’s running for to Team Crispin and talked about everything from Elvis to hometown heroes. Have a great weekend and we will see you at 8am...ish on Manic Monday! Episode 38 Happy Thursday and what a crowd on hand today for The Women’s Business Center “Business and Breakfast” right here in the Peachpit. Out of nowhere came what can only be described as a special moment in BMP history and the donations to several of our local charity’s benefited from the generosity of THE GREATEST COMMUNITY IN THE WORLD! Bad weather had to raise its head and we lost internet and our feed. This one ends kind of abruptly but you’ll get the gist of it and just how magical this show was. Episode #37 Happy Wednesday! The hunt continues! Tuesday night was a blast from the past as we rode around and acted like we were 16 again! Thank you to all who have made this a special event, have RESPECT people, wrapping up with a HINT! If you want to be part of this wild and crazy show drop us a line at bossmanproductionsllc@gmail.com! Episode #36 Another RECORD turnout for us on the show this morning! Thanks to all who tuned in. The #DASH4CASH is the talk of the town! Captain of Team Cobra Kai called in and Clue #9 on the way in this episode! Happy Tuesday! Kicking off the show with Clue #2 that came out last night. The hunt continues and the clues will as well. The new movie Cobra Kai is on the mind as we wonder about additional trailers for the movie. The 109 and the Championship Belt were on display and we see the Cobra Kai’s are well represented this morning. Questions about future clues coming in fast and furious. Thanks to Donnie Beckham for dropping another long wheel base ten to up the pot to $2,200.00 CASH plus a Chef Adam Cheesecake and a dozen Cake Pops from Paula Pettis! Wrapping up the show with old school arcade games and which one was your favorite. All this and more on this Two 4 Tuesday! Episode #32 Happy Monday! Kicking off the week with THE HUNT! The DASH4CASH is in full effect and the pot is up to $2,100.00 in cold hard cash! Next up is Tony’s workout regimen, or lack of, as DJ takes a spycam pic of T-Bone hard at “work”. Amazon Echo’s have completely blown DJ’s mind and he’s not sure if he likes them. Spring Break 2018 and the DRIVE TIME show from Saturday Night was a blast! Wrapping up the show we talk about what it will take to get one clue then two more all in this Manic Monday Show! Check us out at Facebook.com/groups/drivetime. Happy Friday! Today on the BIG show it’s The 109 and the visit from Mitt and Tony yesterday. The tale of the tape pic. The #teamdj black and white T-shirts. Then the BIG announcement we’ve been waiting for...The first ever DRIVE TIME DASH 4 CASH SCAVENGER HUNT! Somewhere in our local area is $1,000 Cold hard cash! Jumping in and adding to the pot was Larry Murphy of Camp 31 BBQ, Jesse Rigby of James Brothers Furniture and Dee Powell of Full Circle Finance with $100 each. Adam Monasco also added one of his famous Cheesecake’s that will make you want to get out and hunt! Thanks to all who graciously added to the pot and if you would like to add something hit us up at bossmanproductionsllc@gmail.com. Pot is now at $1,300 plus Chef Adam’s Cheesecake and growing! Have a great weekend! Happy Friday Eve! Wow what a show! Started off trying to discern the origins of the now infamous “Friday Night Lights Video”. Next we move on to The 109 and all the hype around it. The new YouTube trailer for Cobra Kai comes out of nowhere! Here comes Mitt! Tony and Mitt are in “The Drivers Seat” and that’s ALWAYS a great time. Up next The Bean Boozled Challenge. Mitt won the challenge and then Elvis was in the building! Everyone enjoyed Mitt doing his favorite Elvis tune for us and you will too! Thanks for listening and if you like what you hear leave us a five star review! Happy Wednesday! Today on the show of course The 109. DJ’s medical condition and will he be released to run The 109? Sean Dietriech has a way with words and if you don’t know who he is you need to! Great visit with a friend on Two for Tuesday! Heart ache and heartbreak wrapped up the show with songs and Walkman’s! Thanks for listening and if you like what you hear leave us a five star review! Two for Tuesday! Happy Anniversary JJ! On today’s show...The 109! Is Tony the Tiger really in that good of shape? The Burnt Corn Creek Run coming up is going to be BRUTAL! Is there footage of DJ training for The 109? Bring back a drive in theatre to our area. Will DJ he cleared medically for The 109? Wrapping up we find out that Mitt the man will be in the “Drivers Seat” on tomorrow’s show and hopefully give us his best Elvis performance to date! BIG ANNOUNCEMENT COMING FRIDAY, MARCH 23, 2018! Happy “Manic” Monday! Today on “The Drive”...recap of the weekend, TRM Prom 2018, DJ’s allergies, new contest coming for Flashback Friday and another successful Wild at Heart Spaghetti fundraiser in the books. Happy Flashback Friday! One word...WOW! Today we had a HUGE prize package to giveaway to the winner of Name That T.V. Theme Song. Thanks to all of the businesses who made this show one of the best shows yet! Congratulations to the winner and we look forward to next months giveaway! If you like music and you like a good time then you will REALLY like this episode! Happy Friday Eve! Today on our 25th episode we have some GREAT cheesecake from Chef Adam Monasco. We also discuss the prize pack brought to us by Alisa & Jason Hart from The Market at the Wharf in Orange Beach, Alabama. The prize pack for Flashback Friday’s T.V. Theme Song Name That Tune continues to grow. Wrapping up the show we lay out the rules for tomorrow’s Flashback Friday Name That Tune event. Thanks for listening and if you like what you hear leave us a five star review if you hear some things we can improve on we’ll let us know that as well. Happy Wednesday or Humpday...The best day of your life! today we talk about "The Belt", The 109, feeling great to be back in the saddle and had a tremendous outpouring of prizes to be given away on this Friday's Flashback Friday T.V. Theme Song Name That Tune! We also apologize for completely losing it at the end of Friday's show! Happy Flashback Friday! Show started off well with the 2018 Chamber Banquet last night with our beloved Coach Frank Cotten getting the Lifetime Achievement Award and Joey Shell being named Citizen of the Year! Then came the name that t.v. theme song portion of the show. Answers were fast and furious this morning. Wrapping up the show we lost total control and well listen and hear why! Happy Friday Eve! Today was a BIG birthday Thursday! Hard to follow the ladies from Paw Crossed yesterday. The pics of the Harvest Jam in 1980 are a hit on social media. Amelia Earhart and the finding of the USS Lexington off the coast of Australia are intriguing topics. Wrapping up the show we preview Friday’s special guest TRM Head Football Coach and Athletic Director Keith Etheredge who will be in the “DRIVERS SEAT” first thing Friday morning. Keep it between the lines with DRIVE TIME! Happy Wednesday! Hump day..best day of your life! Credit...Coach Mike Sasser. Today was a very special Drive Time as we had the wonderful ladies of Paws Crossed Dog Rescue in the “DRIVERS SEAT” to tell us all about Paws Crossed! They brought a pound cake that was SCRUMPTIOUS! DJ tried one of their famous homemade doge treats, fund raising and the next one coming up rounded out the show. This was a GREAT show and one that you will certainly want to listen to as Paws Crossed is such a wonderful cause! Happy Tuesday! Today we find out about local favorite and South Alabama Jaguar Pitcher JoJo Booker who gets his first start on the mound against ASU! Old school wrestling and Bullet Bob Armstrong. DJ talks about the biggest crowd ever at Brewton Municipal Stadium. Great stories about The Harvest Jam. Finishing the show off was Jo Jo Hoomes calling in and donating to Paws Crossed a local animal placement organization and his challenge to the other pest control companies in our area. A lot going on on this Tuesday and you don’t want to miss a minute! Happy Monday! To start of the week we recapped the weekend and last Friday’s Special Guest Hosts that did a great job filling in for DJ. Up next was Head Baseball Coach Brent Boyd of the Spanish Fort Toros. Great time catching up on Townsend and the Toros. Winding up the show we talked a little turkey. Special thanks to Chip and Ann Peach for their support! Special guest hosts today were World Renowned Chef Adam Monasco and Joey (The Blade) Turner. Topics of the morning range from where are you now to getting the paddle put on you back in school to finishing out the show with a few great stories. Thanks to Joey and Adam for filling in for DJ this morning. Keep it between the lines with DRIVE TIME! Throwback Thursday and a great show today! Changes are abound at the Country Club of Brewton which is now Juniper Creek. Wer recognize the young people in our local are that are involved and doing big things on the collegiate level. DJ tells the story of his Hole In One and finally closed the show with the Throwback Thursday trivia question. Keep it between the lines with DRIVE TIME! Happy Humpday...best day of your life! Circle game centerpiece is a blast from the past! Rachael Kappar Ivie calls in and gives us the 411 on the upcoming fishing season as well as the Real Estate Deals of the day. Brewton Police Chief Monty Mcgougin calls in and talks about school safety and his pick for the upcoming 109! In the “Driver’s Seat” today was local favorite and PGA Star BOO WEEKLEY! Boo fills us in on rehabbing after elbow surgery, deer hunting, getting back in the swing of things and “gold fishing in a portalet”...TRUE STORY! Boo is always so gracious with his time and we had a great time catching up with him. There’s only one and his name is BOO! Keep it between the lines with DRIVE TIME! Flashback Friday and what a show we had today! Started off great with the owners of Louie’s Italian Bistro stopping by with some delicious food for us to sample before their big grand opening. Next up were “The Killer Bee’s” JoJo Booker and Hunter Brittain who called in and gave us the latest on South Alabama Jaguar Baseball. Rounding out the show was a new segment that everyone seemed to really enjoy. Great end to a great week! DJ gets a surprise from one of his biggest fans...a DONUT PILLOW! Local sports teams in action as the TRM Lady Tiger Basketball Team travels to Dothan to take on their arch enemy the Hillcrest Lady Jaguars. More gluten free food and more donations for the snack food drive at T.R. Miller High School as we try and help our kids! Today on DRIVE TIME...the World Championship Belt for the winner of “The 109” comes out on the table, and a full...ish 45 minutes with Tony (T-Bone) Burnham. If you’ve never tuned in before you WANT to tune in to this one! On today’s show, school security, The 109, and yes a special guest for tomorrow’s Drive Time...Tony (T-Bone) Burnham. Also the donation of non perishable snack foods to be donated to T.R. Miller High School. 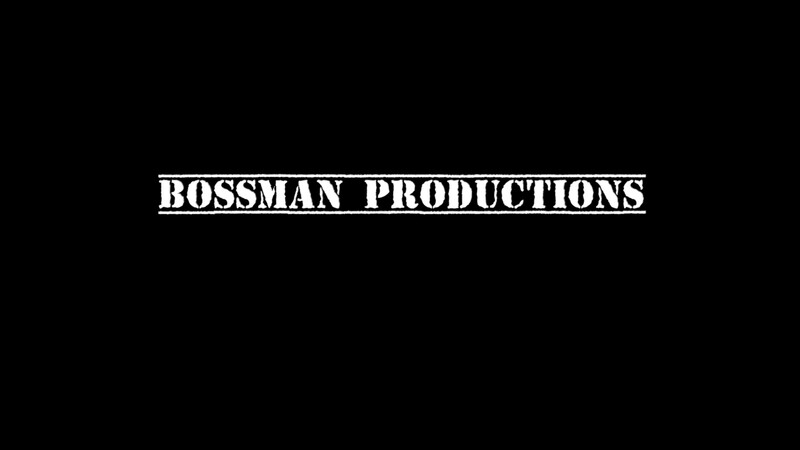 If you would like to help drop us an email at bossmanproductionsllc@gmail.com If you would like to help but can’t make it to us please let us know and we will be happy to arrange pickup from you. Keep it between the lines with DRIVE TIME! Happy Valentine’s Day! Today we talk about taxes and their effect on the local economy DJ introduced his “Scratch n Sniff” Jugernaut. Peach Owner Loyalty FREE oil change days are coming and we just missed Adam Monasco and some delicious Valentine’s Day treats. Thanks for “Keeping it between the lines” with DRIVE TIME in the morning! Cold pizza, donuts and plenty of laughs on the show today. The Mayor Terry Clark brought in a dozen of East Brewton’s finest donut’s and Hal Whitman brought the one day old pizza. Now this is what DRIVE TIME is all about! Kicking the week off on Tuesday we hear DJ talk more about The 109 Race coming up soon. We had two lucky winners win some great Valentine's Day packages. Introduced the new call in feature on the show. Heard from Tony "The Tiger" Burnham and Hayes "Hazel" Wood by phone and much much more on today's DRIVE TIME with DJ & KJ. On today's Drive Time brought to you by Peach Ford, Chrysler, Dodge, Jeep & Ram and by Peach Chevrolet, Buick, GMC and Cadillac local legends James Weaver and Kevin Ladnier drop by and talk about "The Catch" on the frozen tundra taht was Cherokee County all those years ago. Also providing the good eats today was JusDo as Mrs. Melanie brought by a basket so full of great Valentine's Day gifts it took two people to bring it all in. Great show! Happy Friday! Today we hear The Gauntlet laid down for The Bistro 109. Birthdays are all over the place and we talk about a visit from the living legend Hank Adam Locklin son of Country Music Hall of Famer Hank Locklin. Had some great things to giveaway as well. The first day at Peach Chevrolet was a success as we had a great time with East Brewton Mayor Terry Clark, Brewton resident Greg Fleming and Peach Chevrolet's very own Tori Madden.